In doing this work for 15+ years, and literally working on 1000+ (likely 1000’s but who counts?) of resumes, I’d simply have to truthfully say, though: most people do need help, or would at least benefit from professional help. Their resumes could be improved – 95% of resumes I see could be improved – sometimes dramatically – with some help. It’s competitive out there. We all know that is true. So SOME sort of professional input will surely be beneficial, no? How MUCH help? And who truly can do a good (or good enough) job on their own? Some. Not everyone. Do you Need a Pro? Or Can you “DIY” it? Is a Resume Writer Worth It? 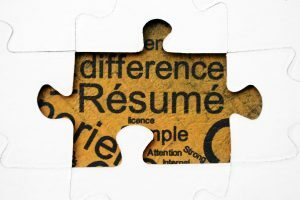 The “Do I NEED a Resume Writer” FREE guide will help you put the pieces together to solve the mystery! 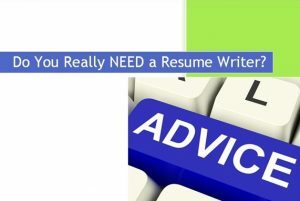 How do you know if you actually NEED a professional resume writer? Could you probably do just as good yourself? I used to *exclusively* offer only 1-1, in depth, personal resume rewriting services. And many people wanted (and needed!) that. But, not everyone, and some, frankly, don’t have the time or money to invest. Some can get that coveted interview with basic edits and upgrades, not full service writing services. Some are quite adept at and interested in learning how and doing it themselves! What about YOU, though? And YOUR resume? It can be puzzling to figure out! For the more detail inclined readers,it also includes more detailed input and explanations, too!